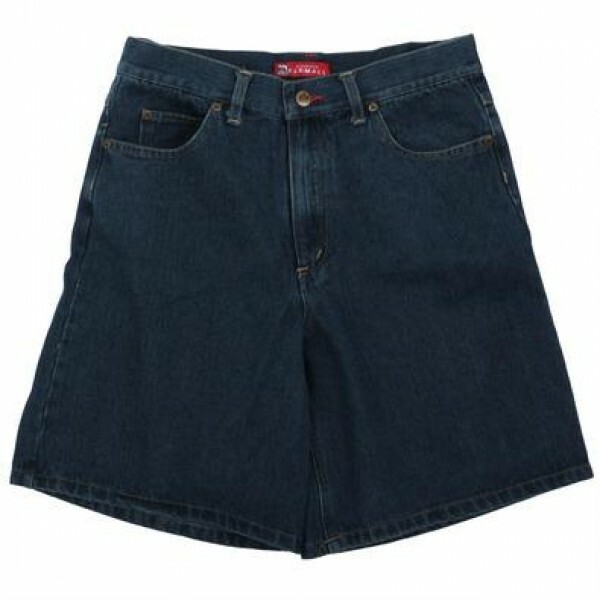 When you need some shorts for the next BBQ, these Classic medium stone-washed blue-denim shorts are a great choice. The five-pocket jean shorts have red stitching accents, Farmall tractor pocket lining, and a 9" inseam. Made of 100% cotton.